Casumi was designed with the intention to help small businesses to have an amazing and modern website in no time. 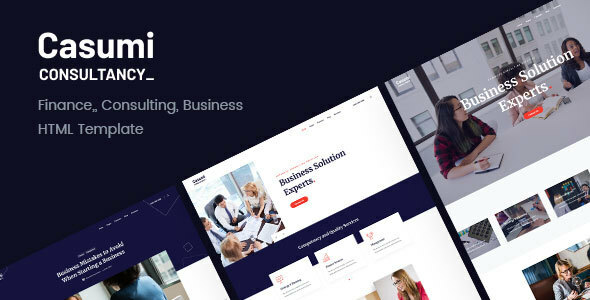 Casumi is a clean modern HTML template for financial, consulting firms and small businesses. We carefully crafted all the important components and pages. With Casumi you’ll also get a premium 72 icons collection. How about new GDPR compliance? We also took care of it, cookies notification and consent checkboxes are included. Casumi built with BEM, Sass, modular jаvascript and clean well-commented HTML code. Loads faster, works great on mobile devices. Try Casumi for your next website.